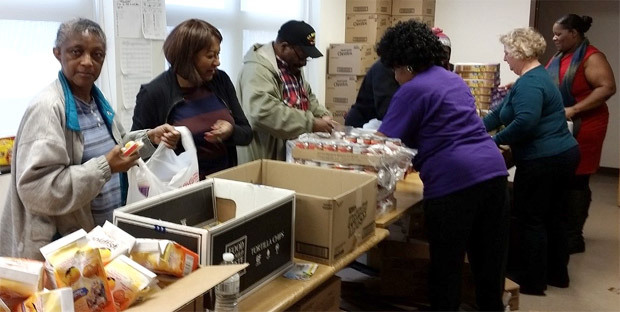 The York Benevolent Association just completed its third successful year of providing weekly food packages to supplement students’ nutrition over the weekends. This year, we provided packages for more than 300 York City students at five schools. The Backpack Program started three years ago with 150 students at McKinley K-8, then added 150 students at Jackson the following year. This past year, we served 75 students each at McKinley, Jackson, Davis and Hannah Penn. 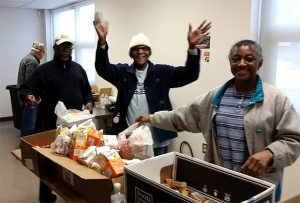 For the last few months, we sent about a dozen bags and boxes of food to William Penn High School. 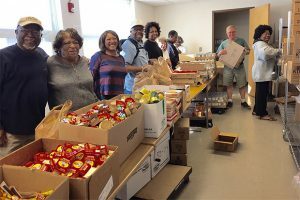 This program is funded by the Benevolent, which has been helping to feed York families and keep them warm through the winter since 1863, with assistance of the Central Pennsylvania Food Bank. Barbara Woodard, Dietra Mincer, Deloris Penn, Mother Estelle Samuel, Mary Perry, Miranda Michael. Dea. Billy Dabney, Joe Mincer, Sr., Diana Walker, Sylvia Jones, Sarah Woods, Jeriesha Gilbert, Brenda Rice, Carrie Mincer, Bill Walker, Mary Carter, Shirley Carter.